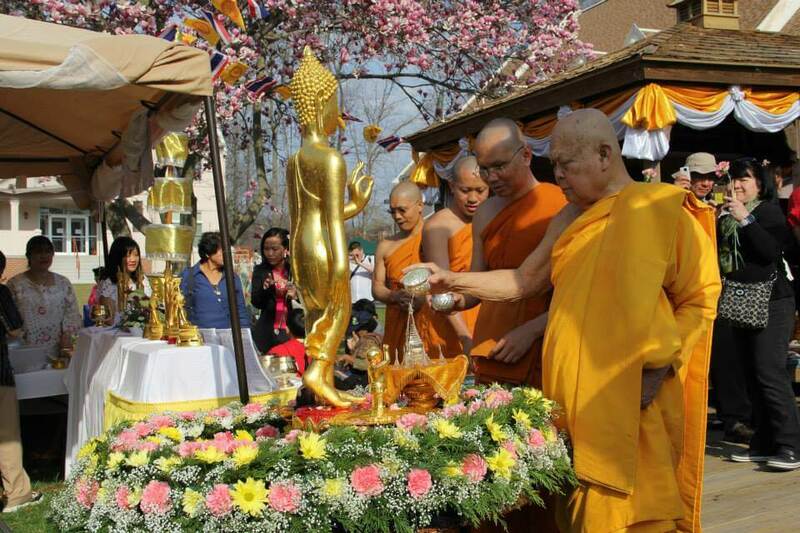 Songkran Festival – Wat Thai Washington, D.C.
Songkran is the traditional Thai New Year’s Day. All Thais perform many auspicious ceremonies on this day. It also presents an opportunity for Thai people to remember and pay respect to their parents, relatives, teachers, and others. Free parking at Barrie School and Glenmont Metro Station. Wat Thai Washington, D. C. will provide shuttle buses for pick-up and drop-off at Glenmont Metro parking lot area between 8:30 am – 4.00 pm. 7:00 a.m. Breakfast served to the monks. 10:30 a.m. Offering of food to the monks.